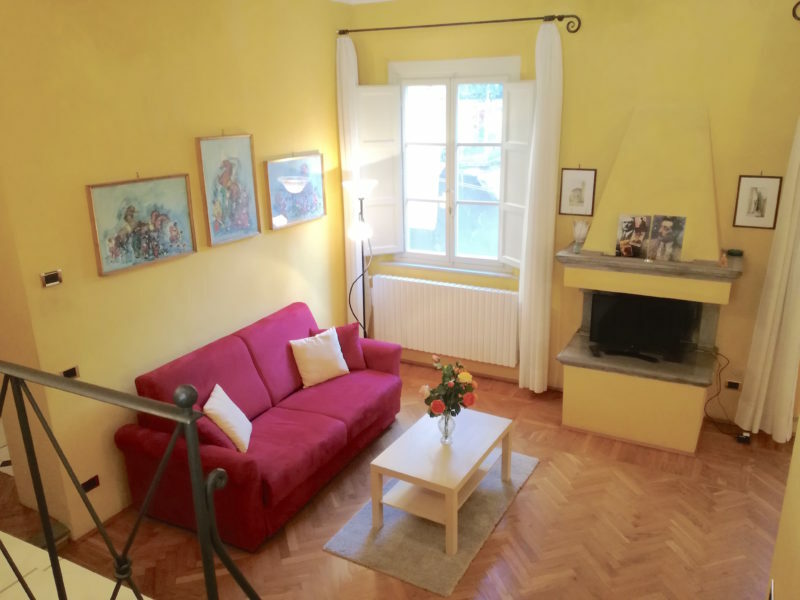 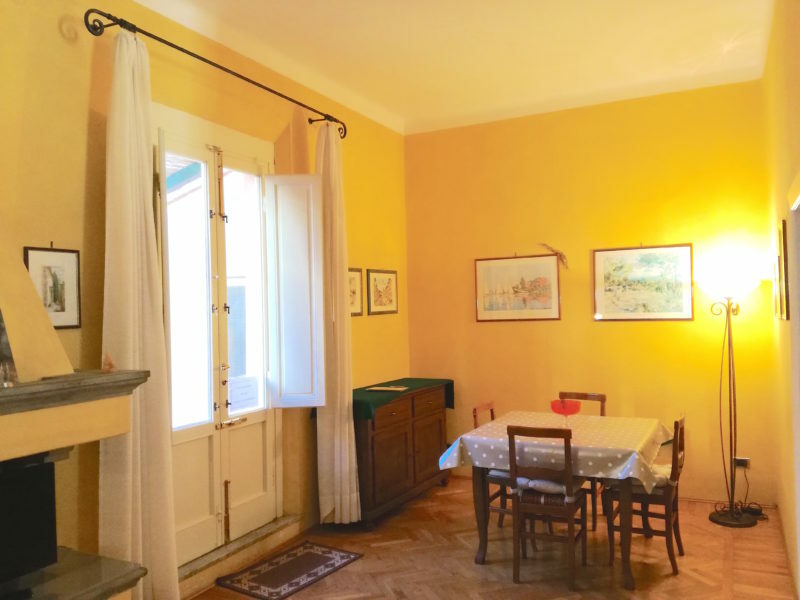 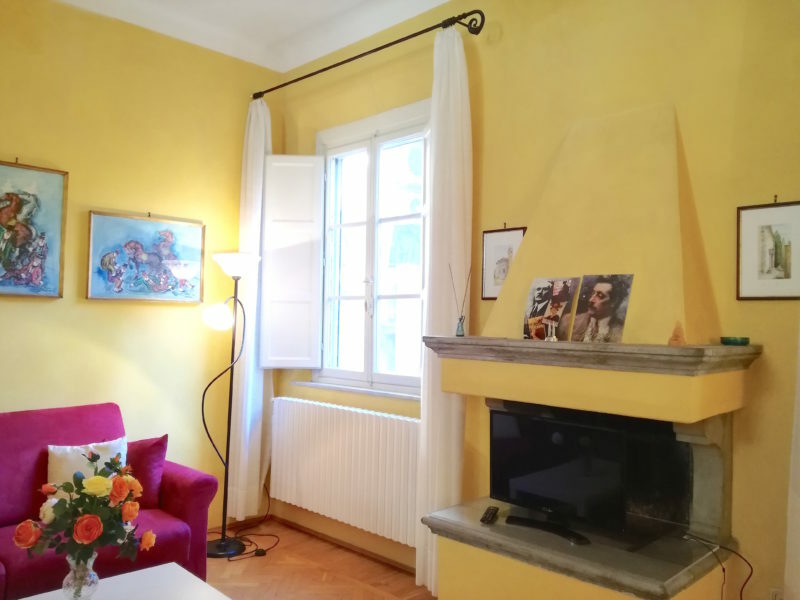 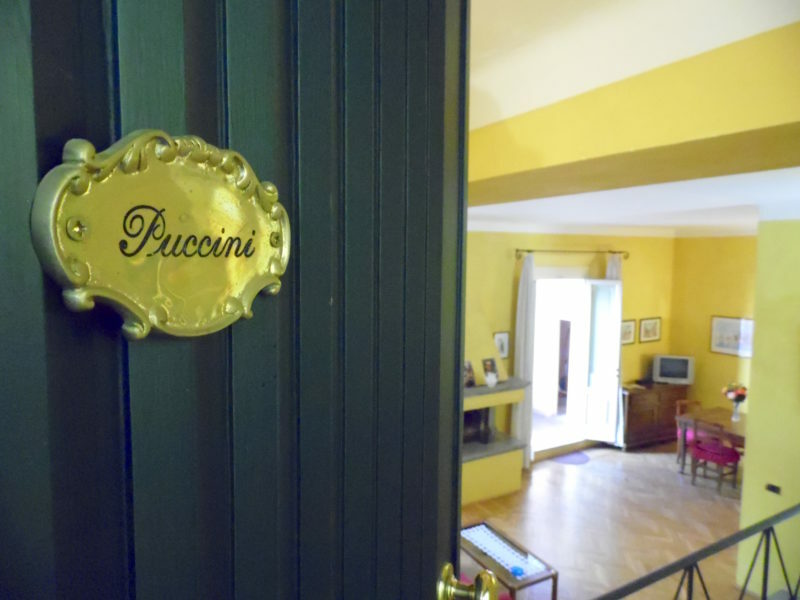 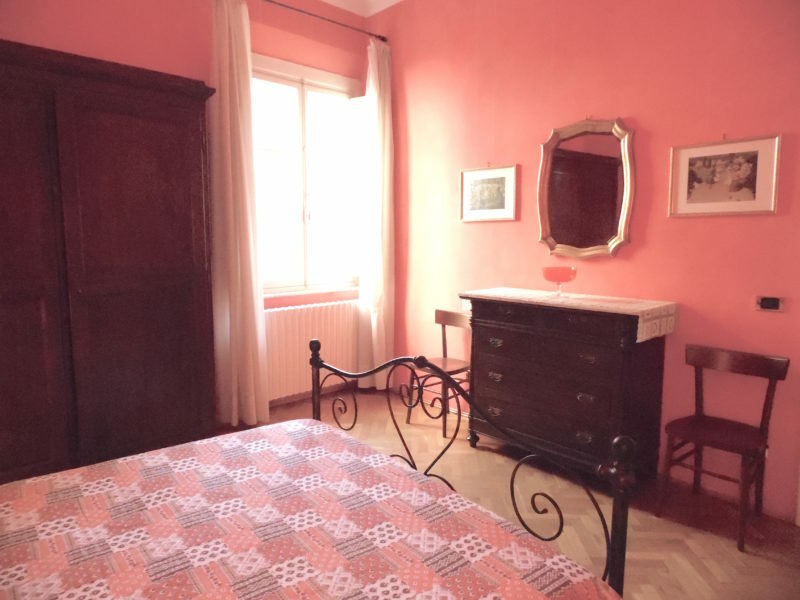 Casa Giacomo Puccini is situated in Via Del Toro 5, a quiet street close to Piazza Cittadella, in the pedestrian zone of the city center of Lucca. 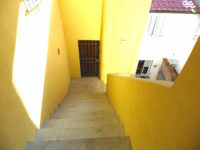 Set on a 2nd high floor, with no elevator, it is no suitable for those with problems climbing stairs. 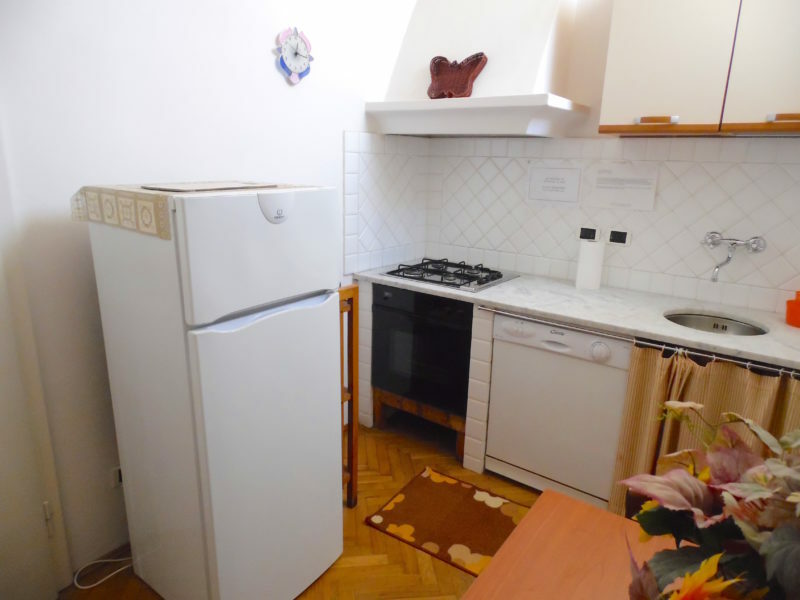 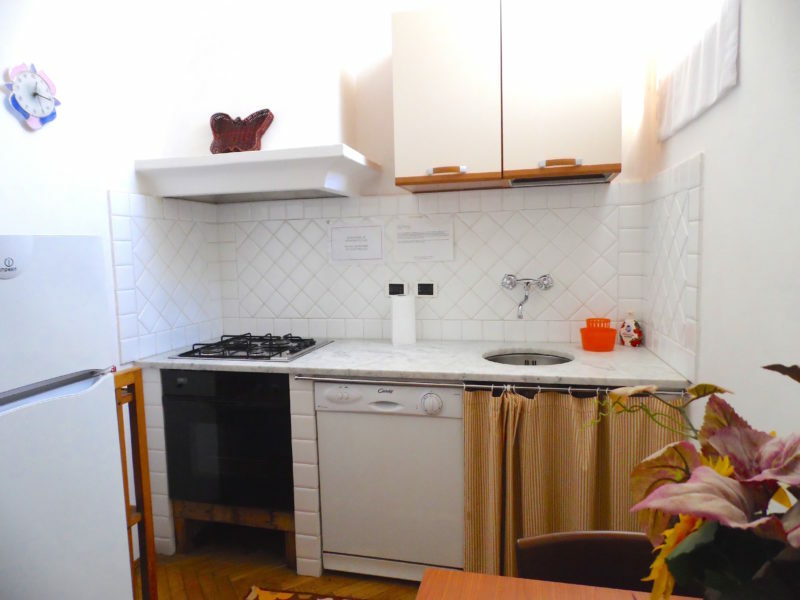 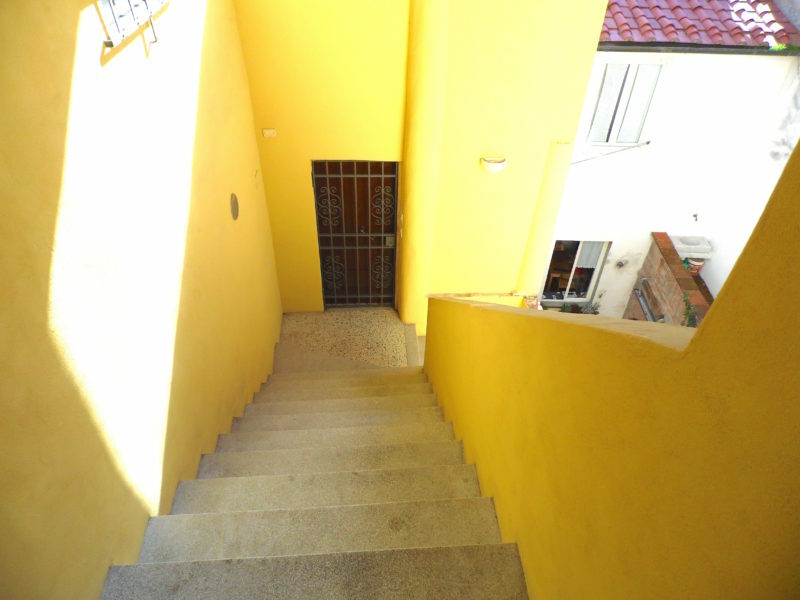 The apartment offers accommodation for 4 guests. 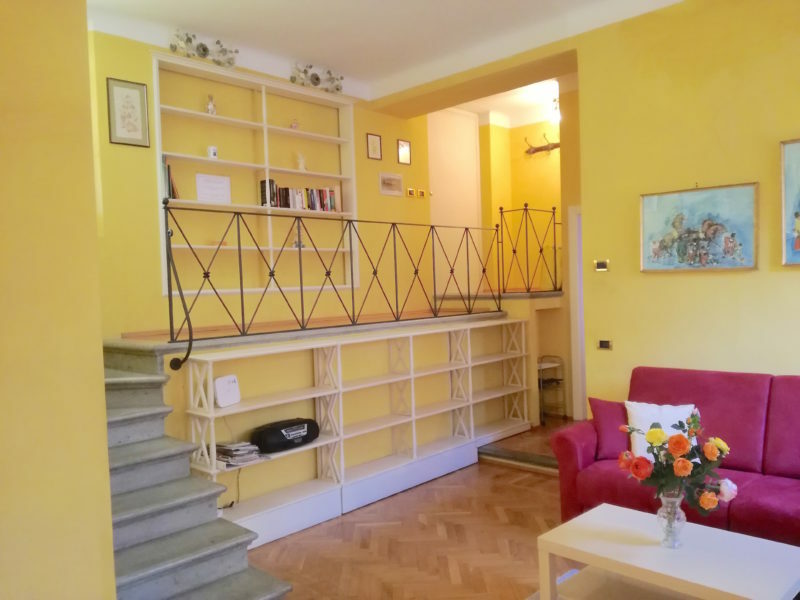 The entrance leads to a bright and specious livingroom through a mezzanine and 4 steps. 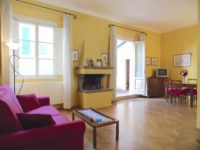 The livingroom offers a sofa bed for 2 and a fireplace. The livingroom opens to a terrace for alfresco dining. 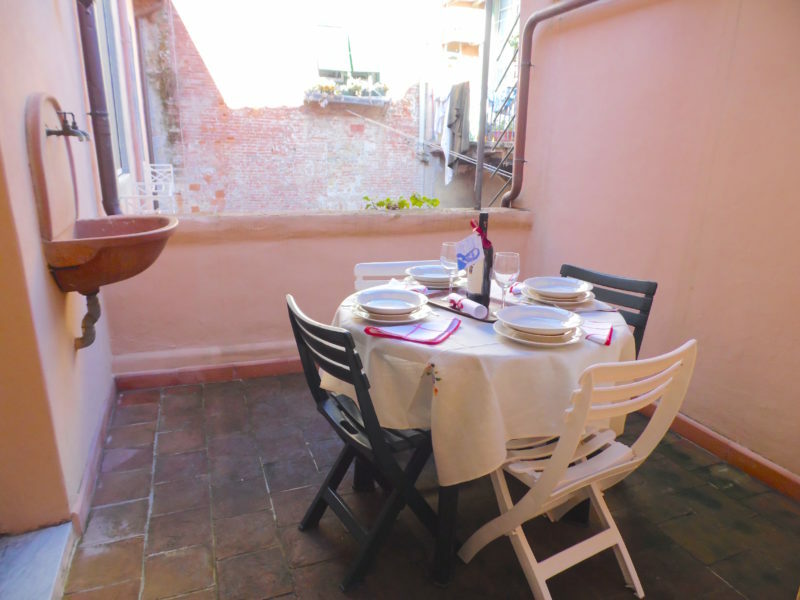 From the terrace you walk to the laundry. 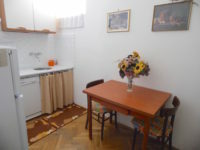 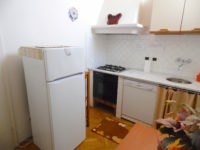 The kitchen is separate, and the matrimonial bedroom has a walk- in wardrobe. 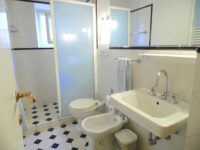 The tiled bathroom with shower is adiacent the main bedroom. 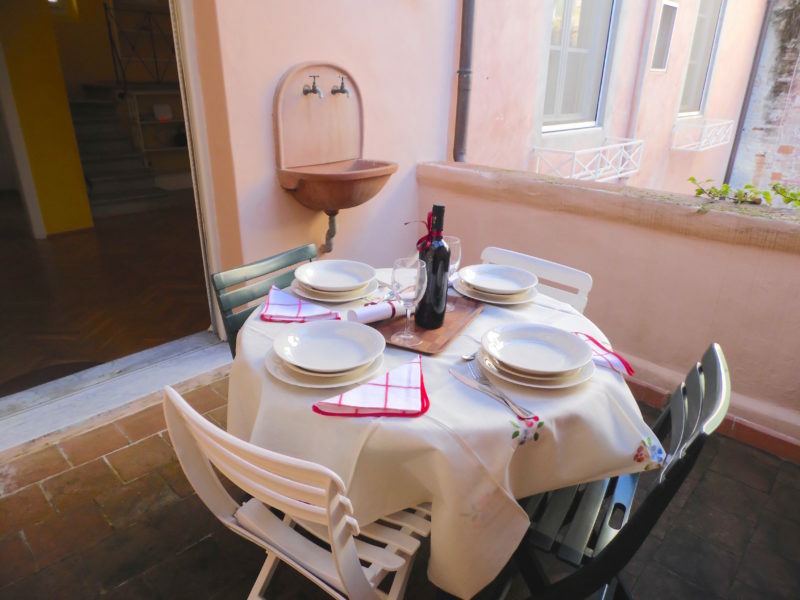 Restaurants, shops, bars and historic sites can be reached within a few minutes on foot. Accessories: wifi, kettle, toaster, microwave, washing machine, iron and ironing board, drying rack, cot. 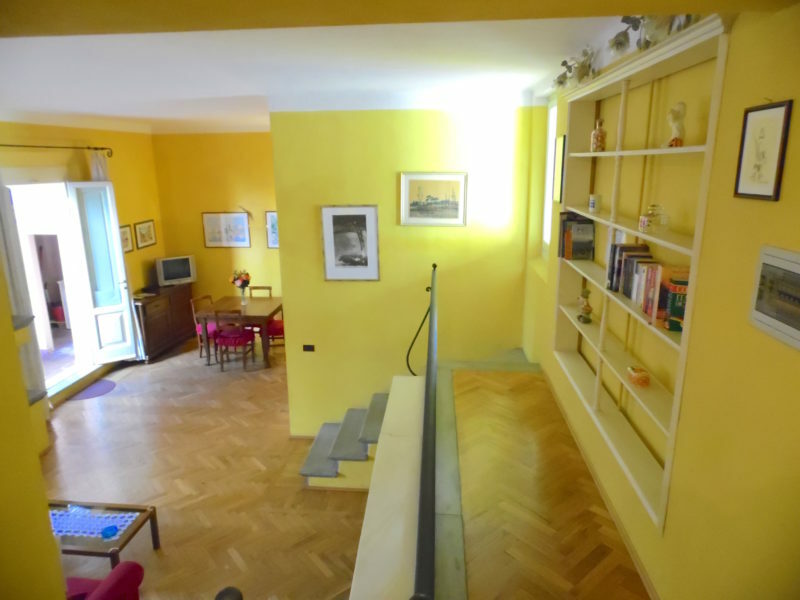 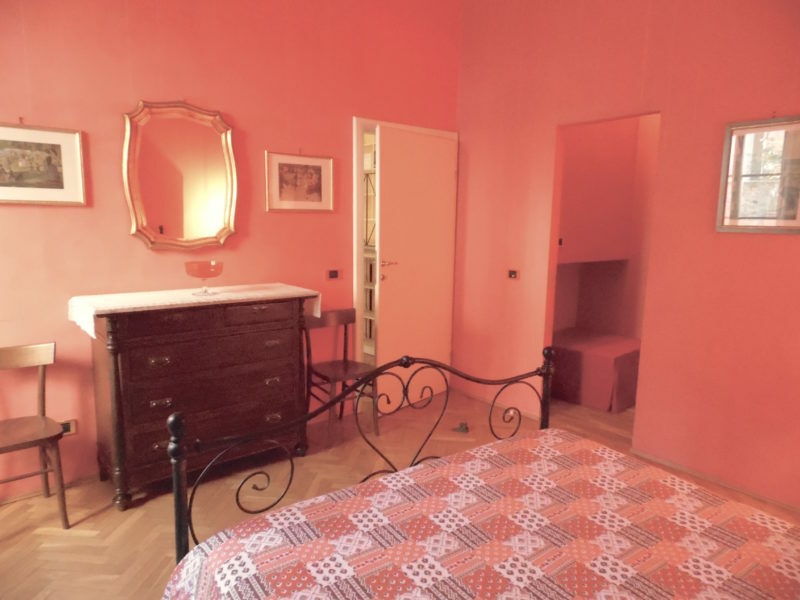 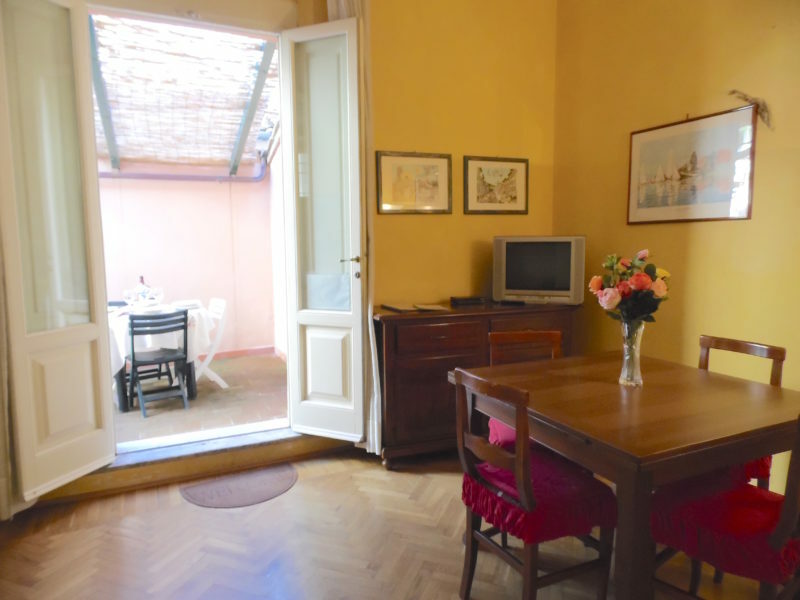 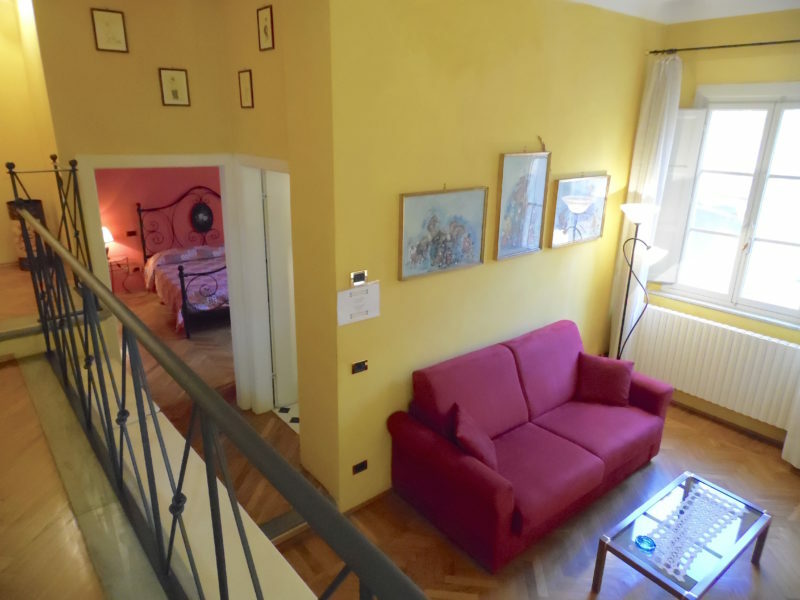 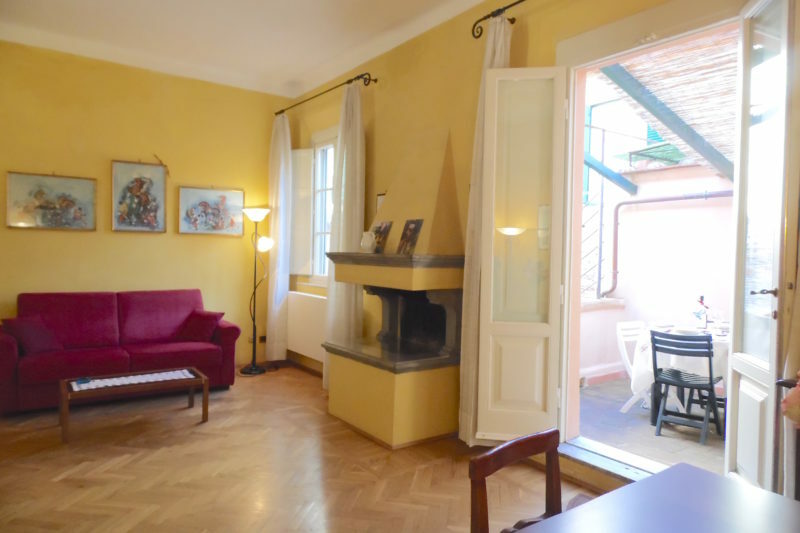 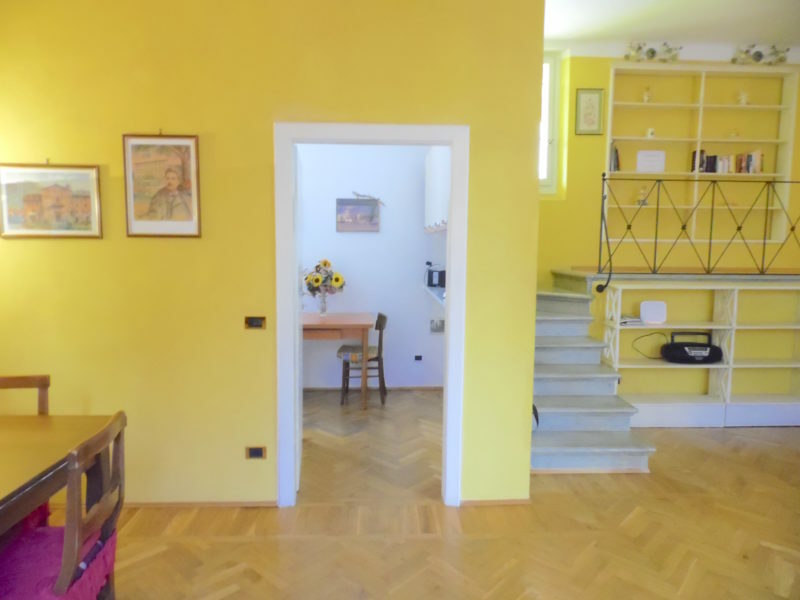 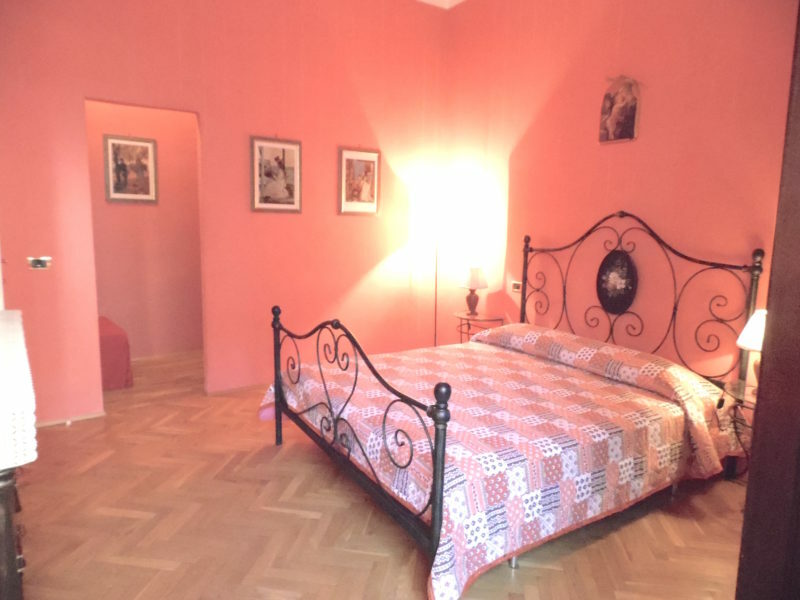 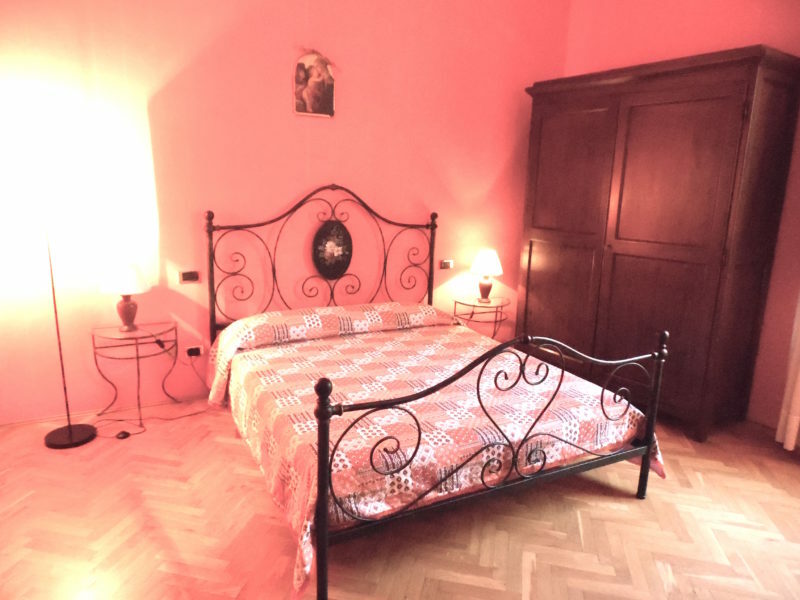 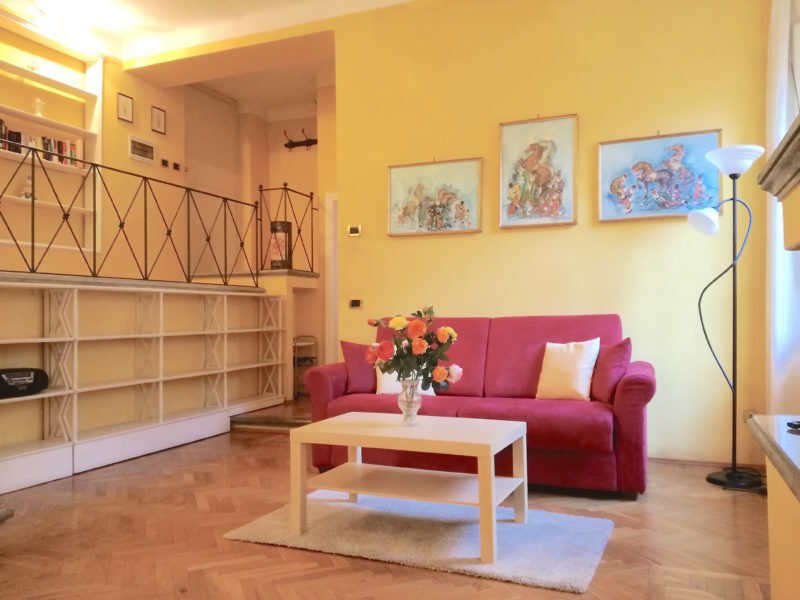 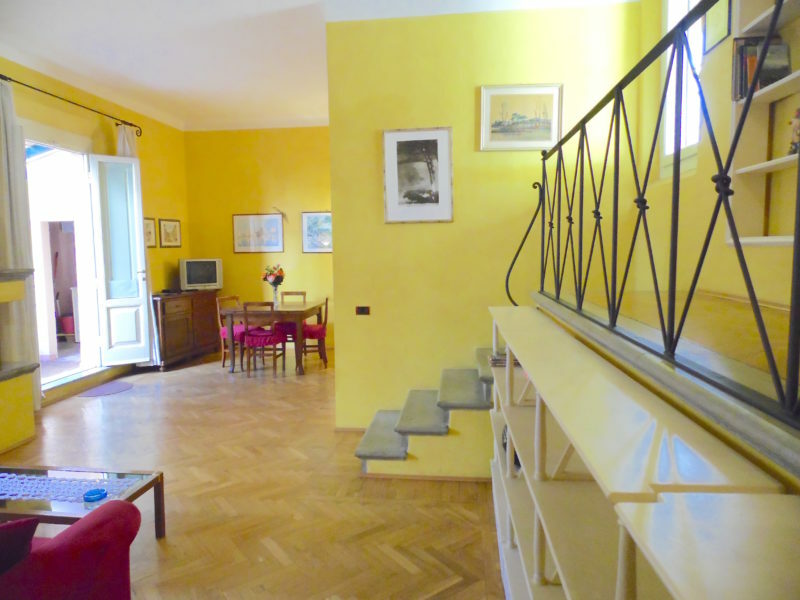 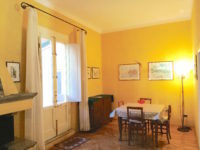 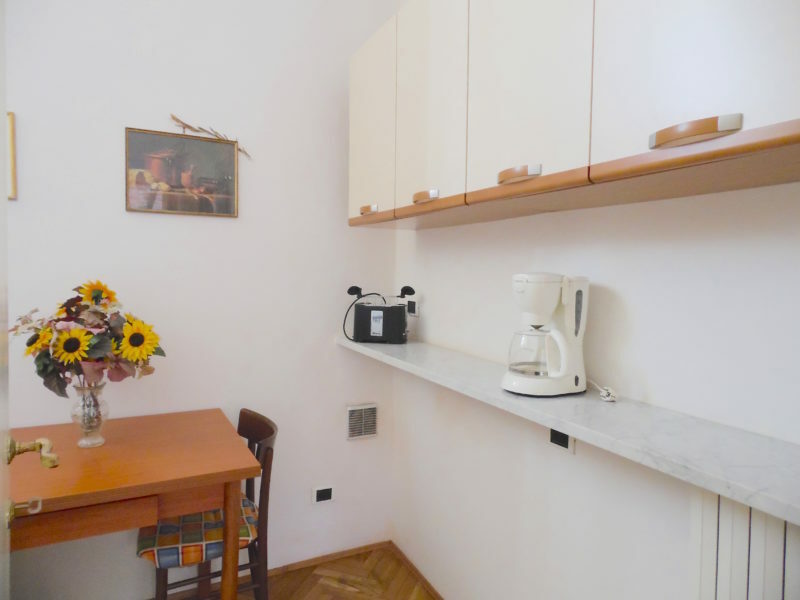 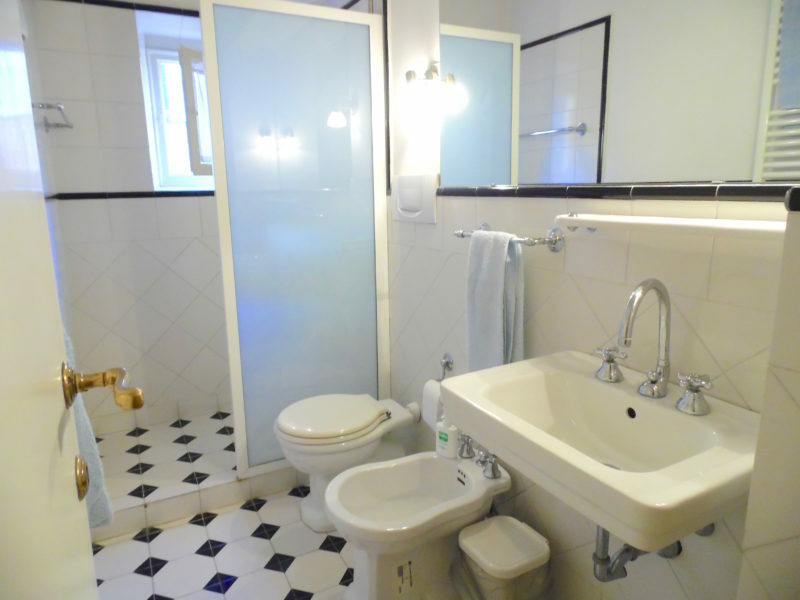 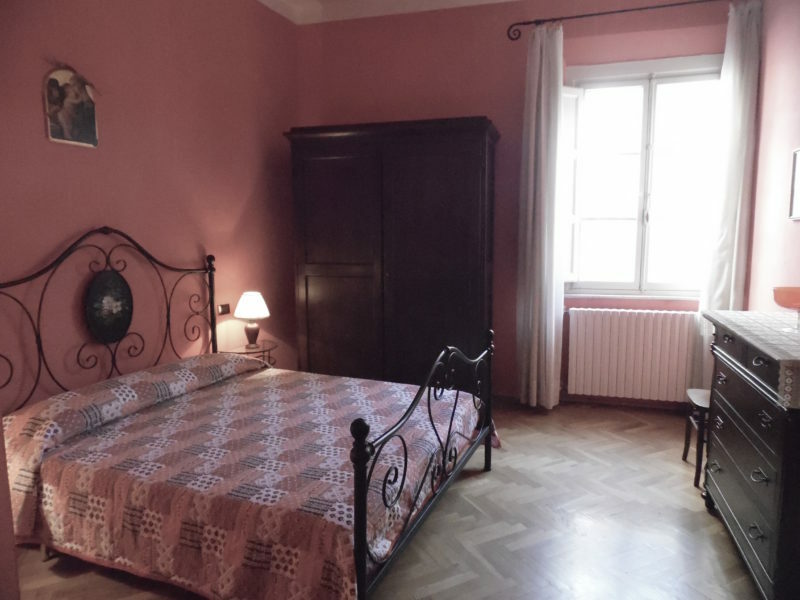 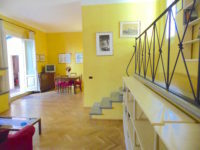 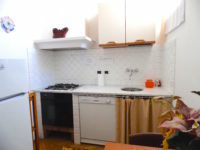 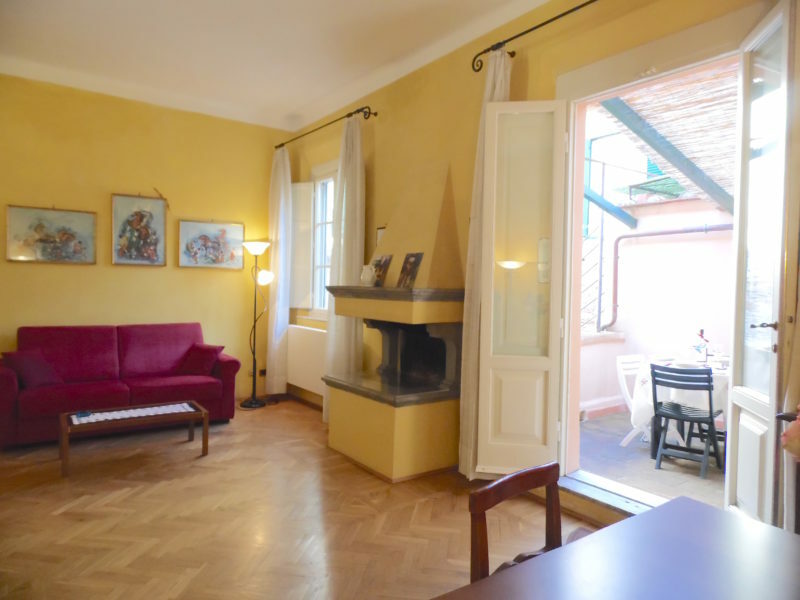 Apartment located on the 3rd floor in prime position within the walls of Lucca. 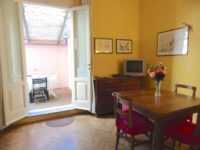 The above prices are including: change of linen and towels every Saturday, utilities, Wi-fi , SAT TV. Cancellation policy: full refund before 42 days, 50% refund before 30 days, no refund within 30 days.